Over 100,000 people use British Sign Language as their preferred language. Sign2Sing helps more hearing people become aware of BSL and start to learn. Originally launched in 2011, sign2sing was an event aimed to break the world record of the most people performing sign language simultaneously in different locations. It has now gone on to become an annual event, encouraging more people to learn British Sign Language with music. 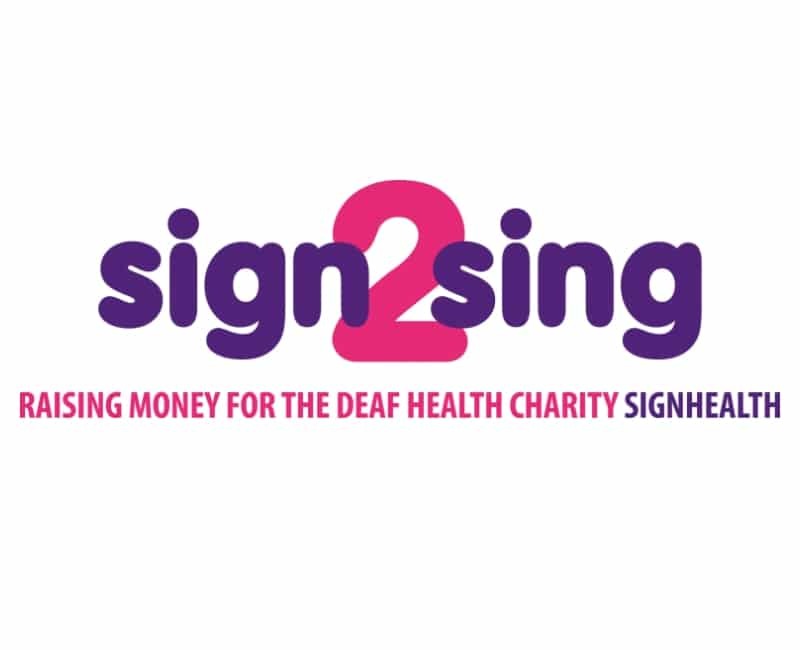 Schools, businesses and organisations across the country learn and perform the year’s BSL song and fundraise for the Deaf Health Charity SignHealth, and this year is no different, with the song ‘Greatest Day’ by Take That being the song of choice. For many, this is a great starting point to learning British Sign Language and being able to communicate with those who use BSL as their first language. BSL became recognised as an official minority language in 2003 by the UK government after many years of campaigning and can be learnt through courses, much like any other language. Below is this year’s music video, “Greatest Day” performed by Oaklodge School, Jayne Fletcher Brander, Wayne Barrow and Rachel Shenton. SignHealth aim to make sure Deaf people have the same access to healthcare and health information as hearing people. They support deaf people of different ages, backgrounds and health needs, and provide a range of services directly in British Sign Language. There is estimated to be around 9 million people in the UK who are deaf or hard of hearing and 100,000 people use BSL as their preferred language. For someone who uses BSL as their first language, communicating with hearing people can be difficult. BSL has its own grammar and sentence structure, so communicating through writing can be hard to understand. For example, in spoken English, someone could say “What is your name?”, but in British Sign Language, someone would say “Your name, what?”. Accessing important information can also become difficult. One example SignHealth use is in a doctor’s surgery. The video below shows the story of a father who is desperately trying to book an appointment for his daughter with the GP but is struggling to communicate. SignHealth signpost Deaf or hard of hearing people to services that can help them. As shown in the video, a patient has the right to an interpreter in order to communicate their symptoms and understand what the doctor is saying. It is the surgery’s responsibility to book an interpreter. 9 in every 10 deaf children are born to hearing parents, and 1 in 10 of those parents will learn British Sign Language to communicate fully with their child. BSL isn’t a language that can be learnt over-night; due to it being a combination of hand gestures, facial expressions and body language, it can take longer than a spoken language to learn. Fingerspelling and basic signs are a good way to start, as well as the sign2sing music video. The SignHealth website has a poster of fingerspell signs, which can easily be printed and casually learnt. They also have basic signs images that can also be printed, teaching you how to say “Thanks/Please”, “What?”, “How are you?” and “Again/Repeat”. There are a number of deaf people with limited hearing and are able to lip-read. It can be easy to try and help someone understand by speaking slowly or exaggerating loudly but this can only make communication more difficult. Speak at your normal speed, using full and clear sentences and not turning away. Make sure your face can be easily seen, without shadows casting over your mouth or bright lights behind you. Many hearing people may be in a customer/patient facing job role and may need to work with an interpreter at some point. Working alongside an interpreter can be strange at first; you would be sitting next to the interpreter talking to the customer/patient, but they would be looking at the interpreter to know what you are saying. Interpreters are skilled at what they do, so don’t feel like you need to slow down or give them chance to catch up with you. If they need you to repeat something, they will say. The important thing to remember is to stay patient and be prepared to repeat yourself. To find out more about British Sign Language and courses to learn, please visit https://www.british-sign.co.uk/. 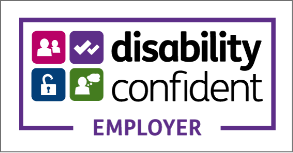 You can also visit SignHealth for more information about accessing healthcare information. At Heritage Healthcare, we match our clients with a carer we know they will trust and have a good friendship with. Our care team are skilled in different areas of care, and take further training where needed to provide the quality and dedicated service we are known for. To find out how we can support you and your loved ones, please take a look at ‘Our Services’ page, or you can find your nearest Heritage Healthcare office by clicking here.